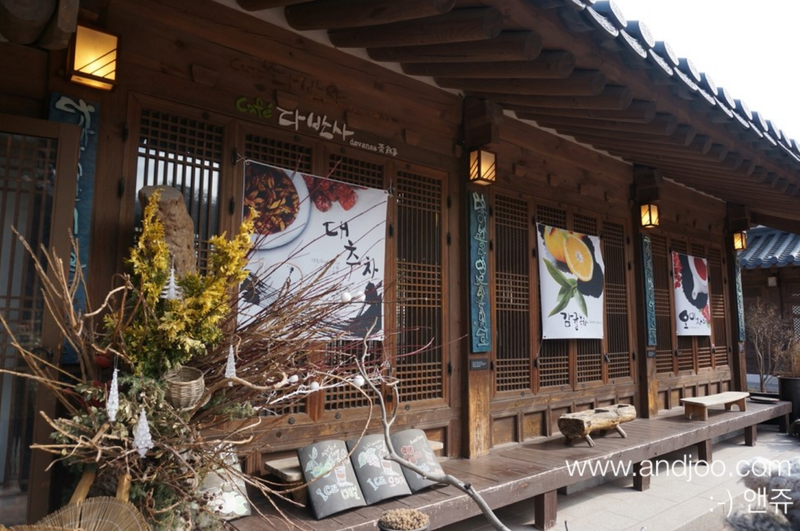 Hanok is a kind of Korean traditional house develped with the idea to keep accordance to its surroundings, considering the terrain and seasons. 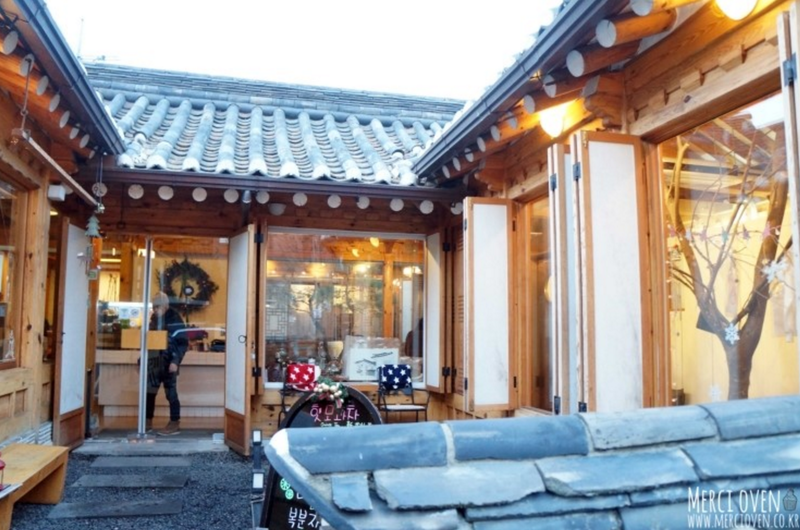 People from all over the world fall in love with Hanok when visiting Korea. 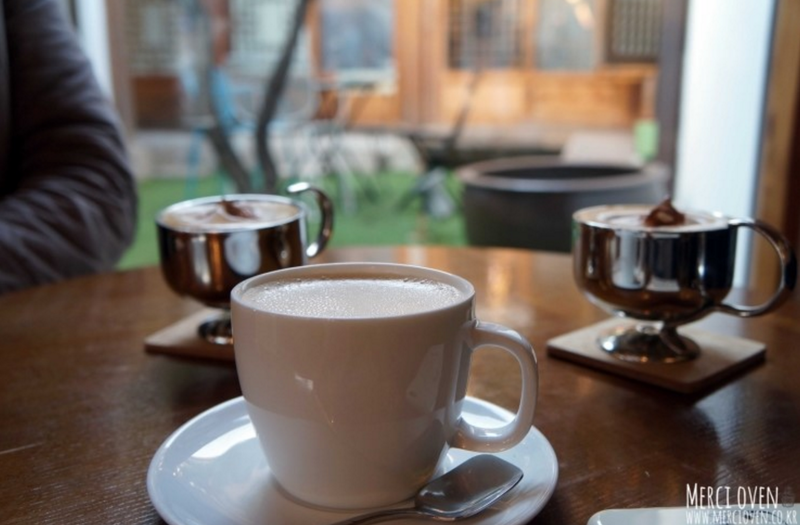 And today we’re going to introduce something even more special – Hanok Cafes, where you can cozily enjoy the beauty of Hanok to a nice cup of coffee or Korean tea! 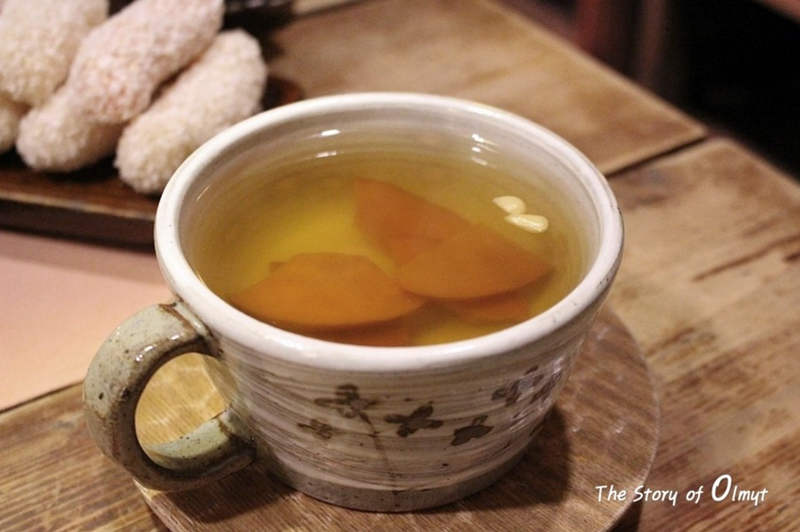 A special Cafe hiding inside Seochon Villiage, bear, is a place where tradition perfectly blended in morden times. Walking through the wooden doors feeling like walking through the time, into an old Seoul. 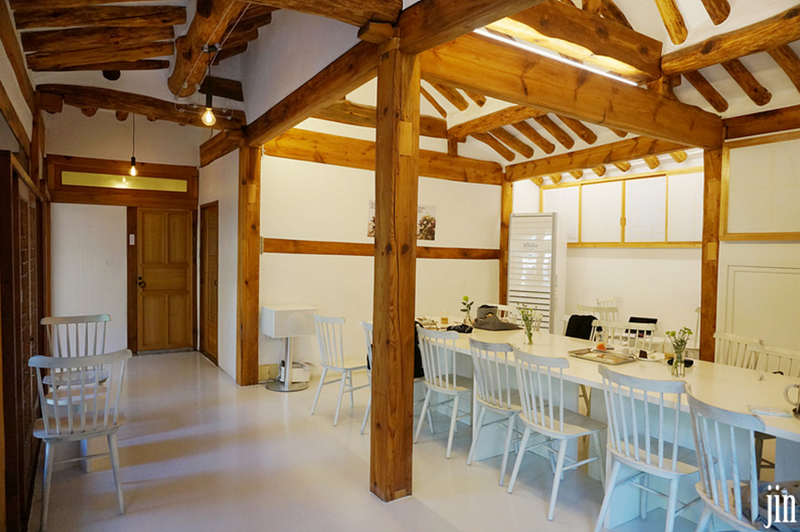 The interior, however, is of modern simple style while still allowing visitors to observe the original structure of this Hanok. Imagine the coffee fragrance filling up this traditional, yet stylish space, what a day just to slow down your pace, enjoy, and relax. 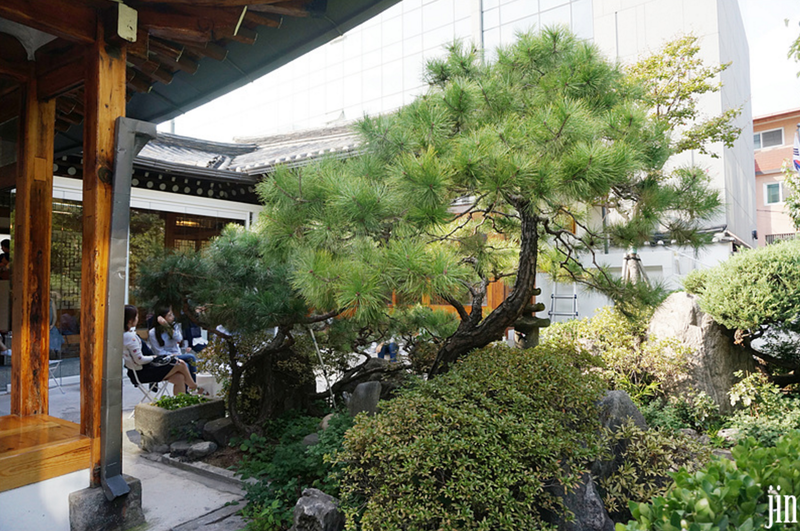 A natural garden in the middle of traditionally designed Hanok, making it even more refreashing! Can’t wait until spring to come to have some bestie’s garden time! 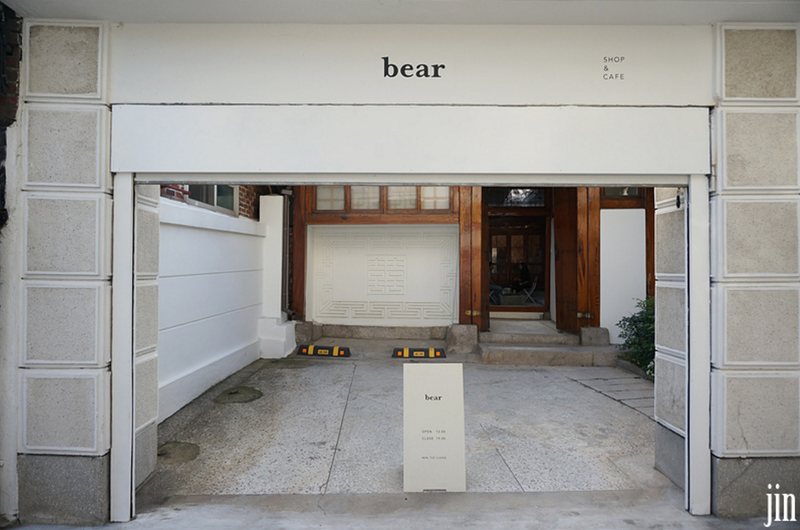 Opens: 12:00~19:00, Close on Mon. and Tue. 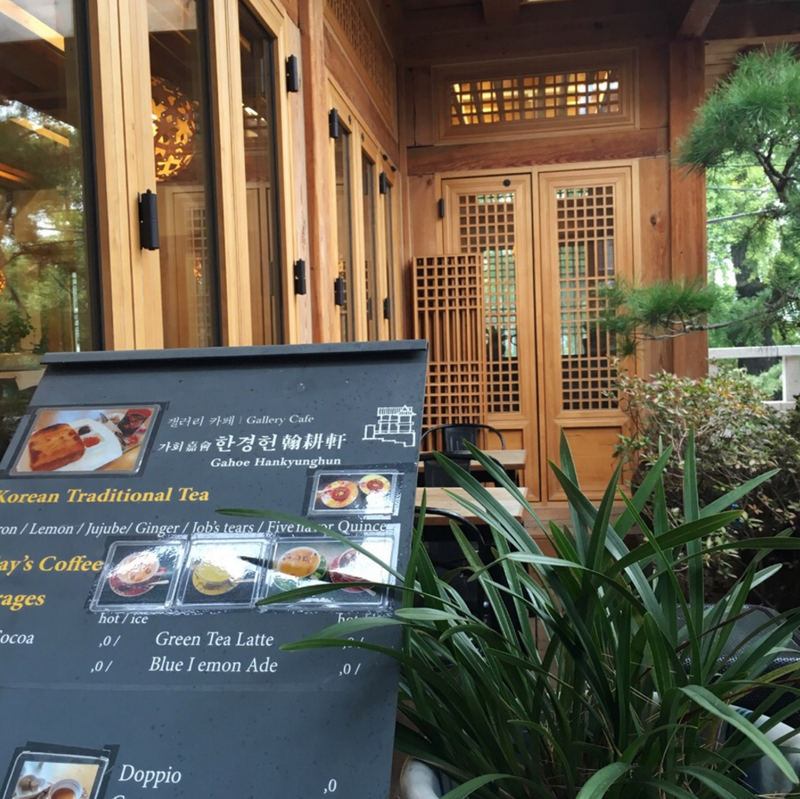 Namusairo (나무사이로), meaning “Through the trees” in Korean, is a traditional Hanok Cafe next to Gyeongbokgung Palace, a great choice to rest your feet after visiting the Palace. A small counter but a large space full of old memories for you to explore! 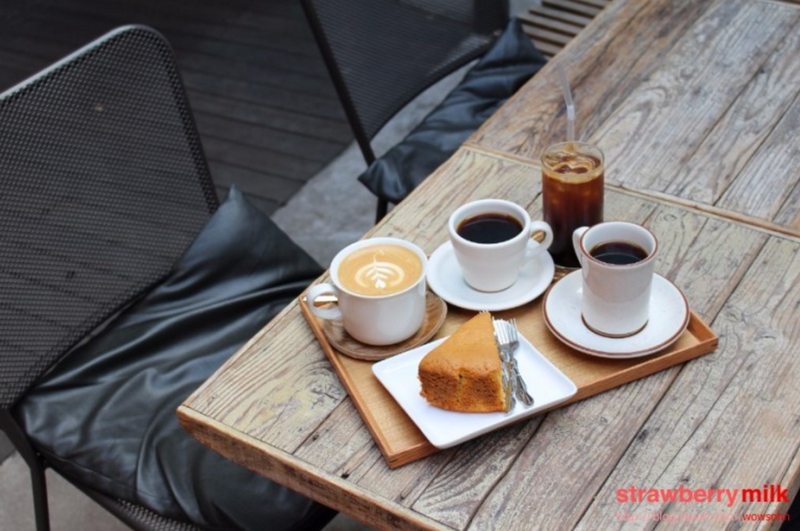 Quality hand drip coffee and lovely homemade cakes would just take a second to warm your winter up~ If you don’t like hiding indoors, come out and enjoy the sun! It is always better to try something unique other than routine franchise, which may lead you to find out the unique part of yourself. 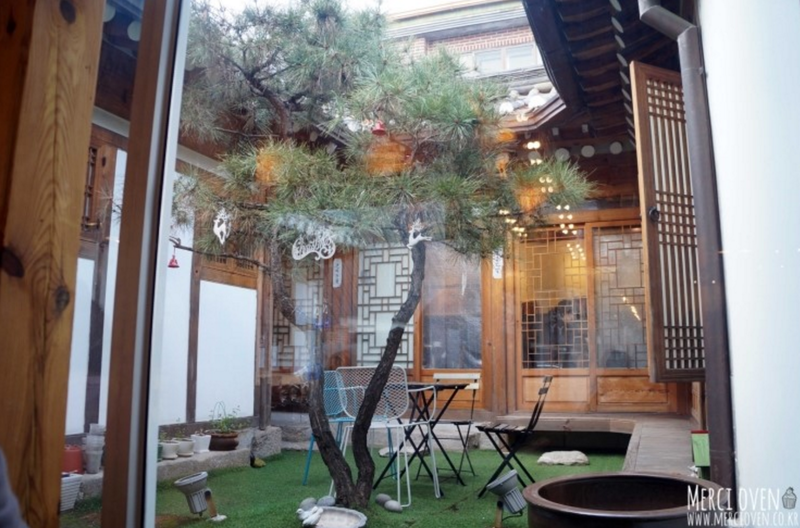 Housed in an old, small Hanok deep inside the back ally of Insa-dong, this traditional teahouse has made her name among both Koreans and foreigners, which could be easily told from the messages on the wall. Despite the poetic name, Moon bird does think of only the moon looks like a place where time stands still. Everything is so traditional and antique. 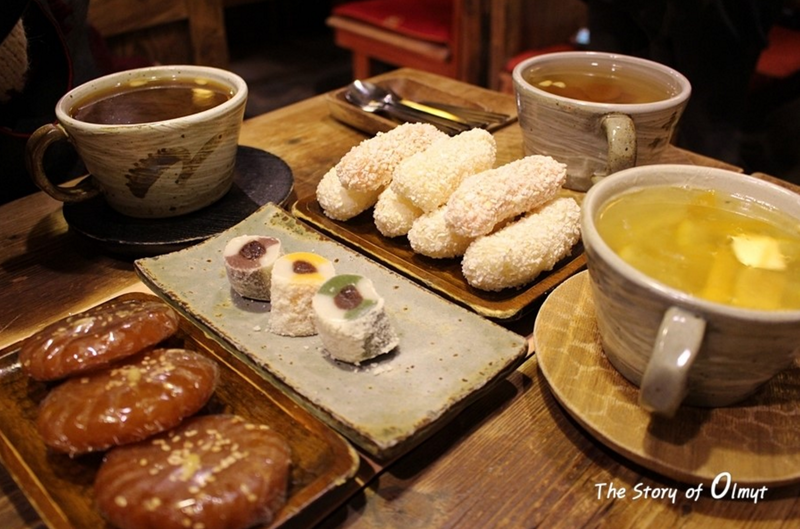 Specialized in Korean traditional tea and snacks, it is one of the must visit teahouses in Seoul if you want to experience some traditional tastes. 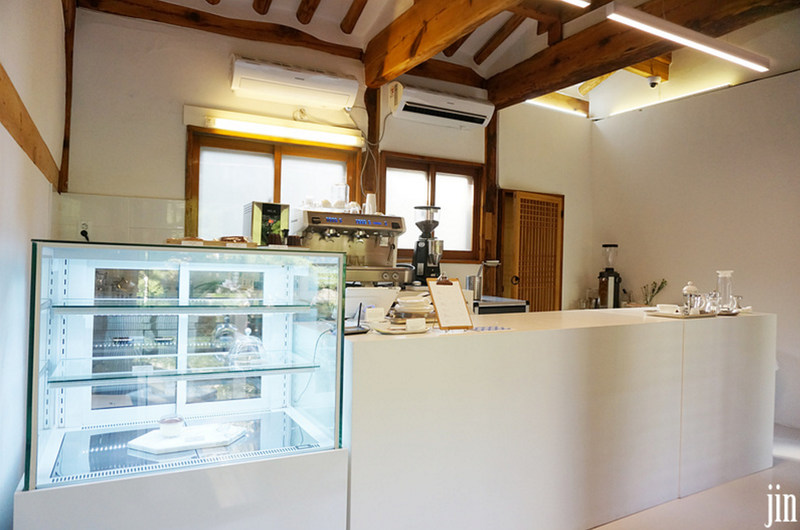 Gallery, and a Cafe, and a teahouse. Hankyunghun is next to the beautiful Changdeokgung Palace, offering people a special experience of the Korean tradition. 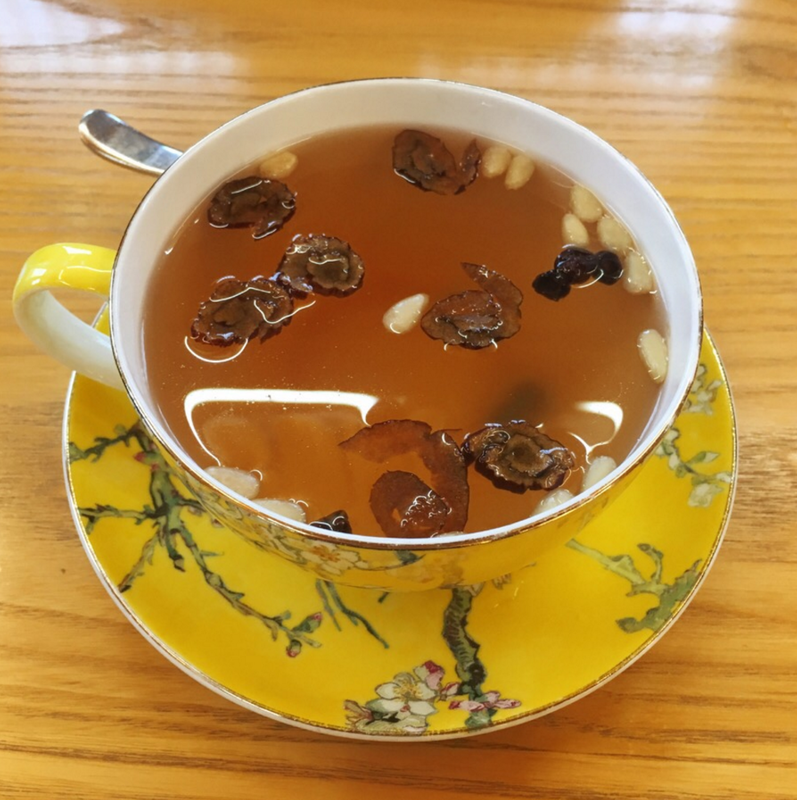 The refurbished wooden Hanok, traditional blend, and exquisite teaware, having tea becomes such a great enjoyment all of a sudden! Every bit of the decorations was so delicate that you would never regret for visiting. Opens: 9:00~18:00, Close on Tue. 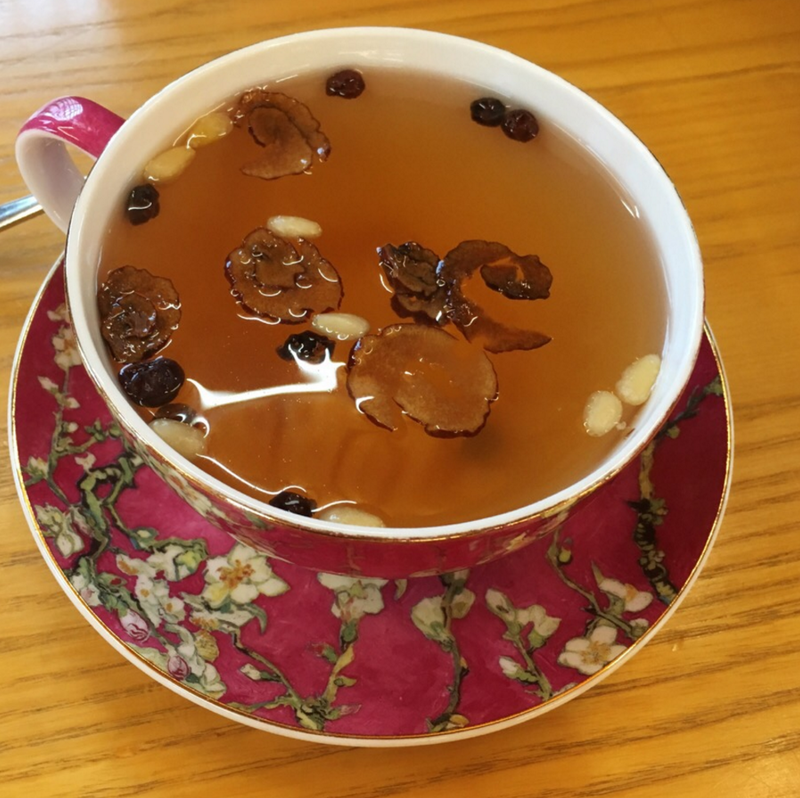 Stepping into a piece of Korean tradition, and act like one. 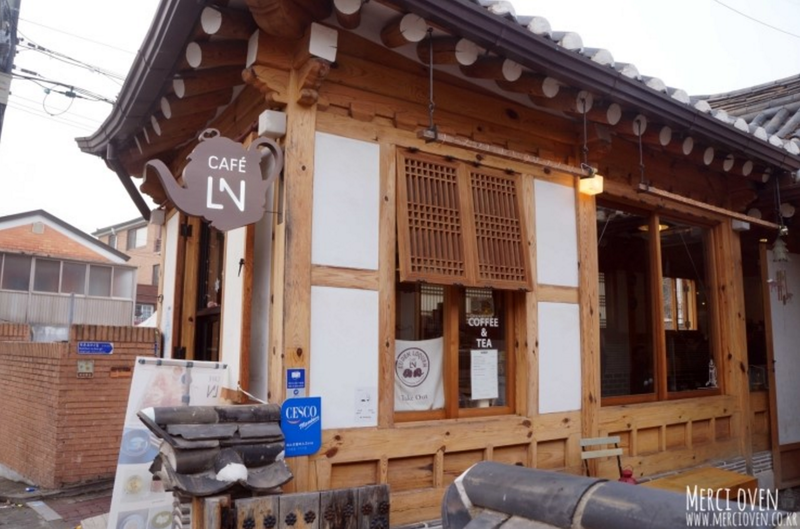 You might have your doubts in fornt this Hanok because Davansa surely doesn’t look like a regular Cafe from the outside. 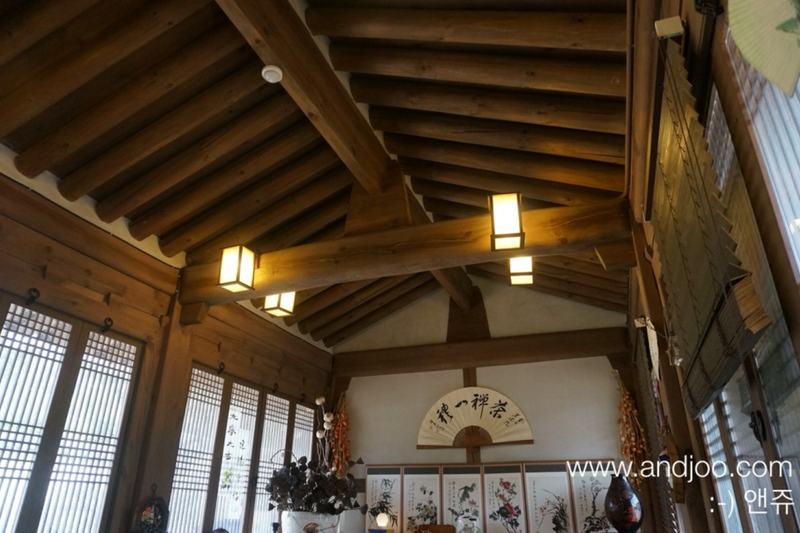 Even the heavy sturdy girders, lattice wooden windows, highly handing lanterns, and every other decoration resembles very much Korean temples. 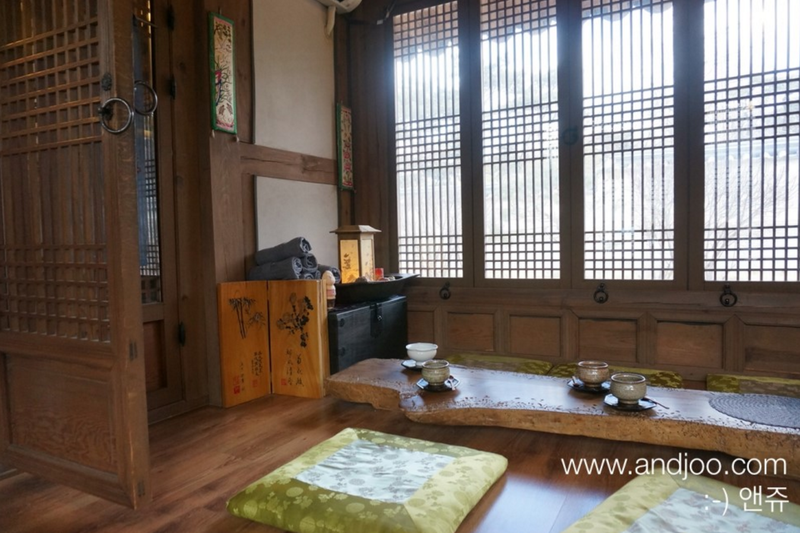 Sit on the floor, and sit your pottery teawares on a piece of trunk, enjoy your time ancient Korean way. 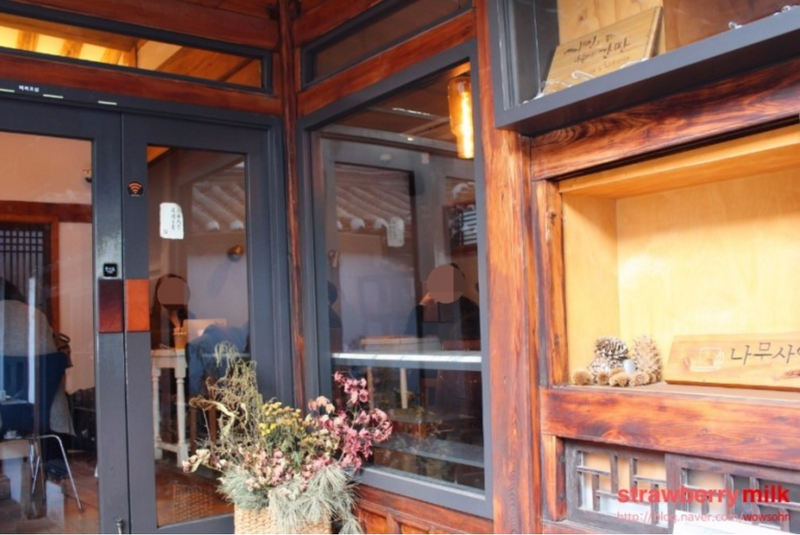 Located in the artistic Samcheong-dong, Cafe LN added just enough freshness and cozyness to its traditional vibe. The warm yellow lights are best to soften one’s heart in such a cold winter like this. Have your favourite coffee or tea and take time enjoying the garden view. 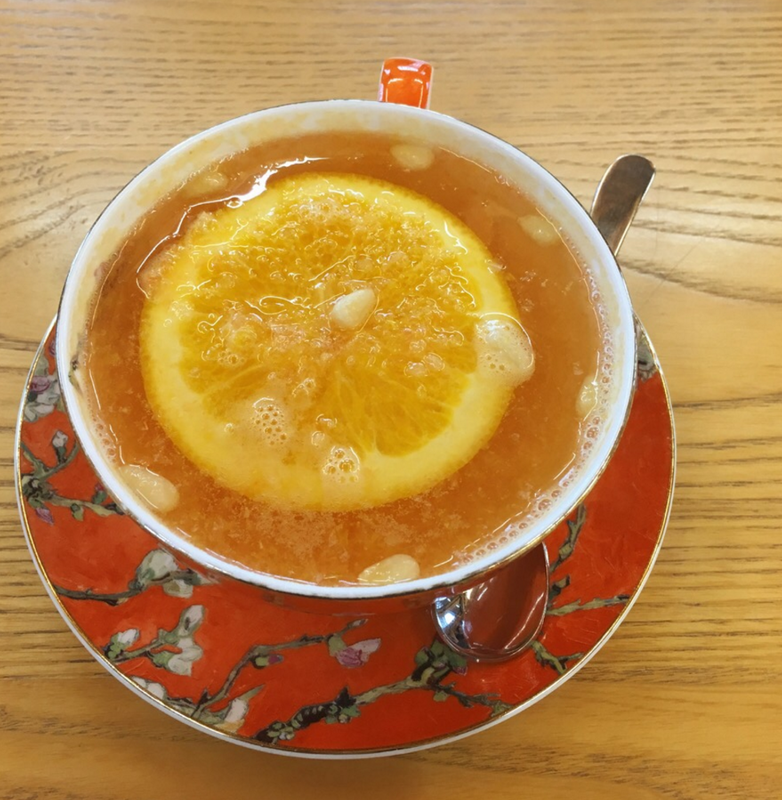 This entry was posted in Activity & Local Culture, Culture and lifestyle, etc., Explore REAL Korea, FOOD, Spot, Travelstyle and tagged cafe, Hanok, Korea travel tips, Korean tea, korean tradition, Seoul, Themed Cafe in Korea, Travel in Seoul.